Click on the link above to see glassybaby's main page! 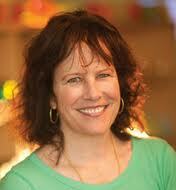 I want to tell you about a really great lady (Lee Rhodes) and her company glassybaby. Our favorite description of glassybaby was written by Lee's 12-year-old son, Mericos, and given to her in the early morning one Christmas.A glassybaby is physically a small, colored glass cup, candleholder, or vase. But the light of a candle coming through a glassybaby generates more: it gives warmth to a cold day, a calm token of peace in the busy world. Since 1998, Lee Rhodes has been designing, publicizing, and selling these small, extremely tough and strong cups. In 2001, she began to learn to blow these glasses, and has produced many glasses since.glassybaby are made through a multi-layered glassblowing process and their color comes from different shaded color rods to produce a mix of opaque, translucent, and deeply colored glasses. This method creates a thick, strong piece of glass that has many functions and uses.glassybaby come in a multitude of different colors that you can mix to create a stunning, flickering picture for a quiet vigil or a bustling party. Shining out of a window, a glassybaby creates an aura of love and good that fills the heart of anyone on the sidewalk or street. There is almost no limit to the moods and feelings that a glassybaby or group of glassybaby can produce in someone, be it the calm and tranquil mint green or the inspiring dark orange. As glasses, glassybaby are beautiful and useful: they act as cups and goblets, and the transparent colors are ideal for this job. glassybaby are dishwasher safe and are practically indestructible when you drop them.glassybaby are useful in many ways. But their real use is lifting bad moods and loneliness. Their warm and colored light flickers like we do in everyday life. 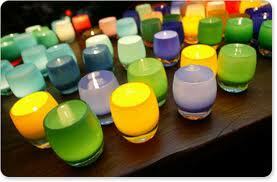 glassybaby serve as a metaphor to symbolize hope and are humble in spirit but not in beauty. Whatever your mood, a glassybaby can keep your home inviting and full of spirit. Over the next few years, Lee learned to blow glass and create glassybaby. And as she began giving them to others, glassybaby was born. Eventually she searched out local glass blowers to assist her with the production so that she could spread the light of glassybaby. To Lee, they represented "that deep breath that we often forget to take. 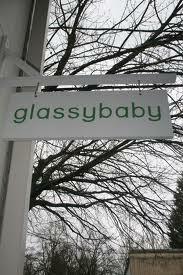 "In 2003, glassybaby opened its first retail store. Today, the Madrona neighborhood of Seattle is home to the company's main store and studio, where a team of dedicated glassblowers produces an average of 200 glassybaby daily. The company also has stores in Seattle's University Village; in Bellevue, Washington; and in New York's West Village at 555 Hudson. To honor those who have walked down her same path, Lee established glassybaby goodwill, which remains the company's foundation and mission. During her cancer treatment, Lee met many other patients who could not afford even daily needs such as bus fare, childcare, or groceries. Today, much of the money donated by glassybaby goes directly toward meeting those basic needs. Each year, the company spreads hope by supporting charities dedicated to health, healing, and quality of life. "It is at the core of this company to give back," says Lee. "When I founded glassybaby, I never knew these little glass votives would have such an impact on people touched by cancer. "As each glassybaby leaves the door, Lee, reflecting on her own journey, knows that it will play a part of light, beauty and healing in a new story. as others have shared theirs. 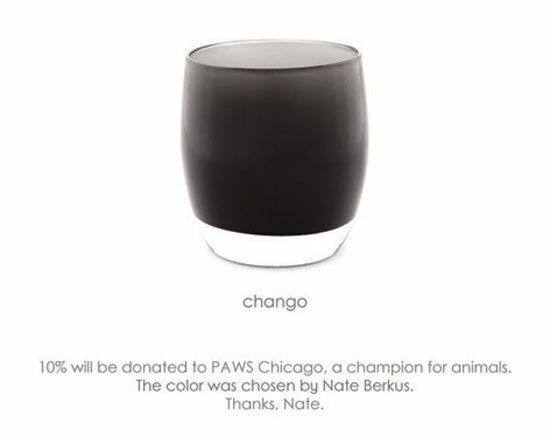 Since glassybaby cherishes animals and so does Nate, we’re even more pleased to announce that "chango" is our newest goodwill color, with 10% of its sales donated to PAWS Chicago, to support their tireless efforts to alleviate pet homelessness. Another happy result of glassybaby on The Nate Show was the introduction of our gorgeous "in bloom" set of spring-flavored hues: "happiness," "kumquat," "smooch," "taxi," "raspberry sorbet," and "seattle sunset." Just add candle light, and as spring storms pelt the windows, you’ll feel warm and cozy, basking in the glow of these beauties.